Because no single way of eating works for everybody. My dad was a ham freak. Like his father before him, he would eat ham in pretty much any form. Baked ham, fried ham, ham sandwiches, ham omelettes, ham croquettes. And like him, I’m completely ham-addicted myself. 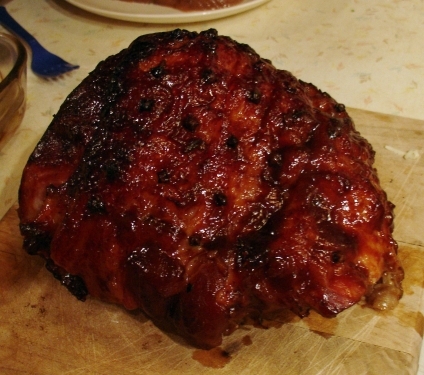 Dad baked a great ham. His favourite method was to make his own glaze – and I can’t give you the recipe for it, because it was different every time. But it always involved something sweet – like apricot or peach jam – and some hot mustard. Sometimes there were raisins too, or ginger, or cloves, or onions, or allspice, or maple syrup. He’d slice diamond shapes into the fat of the ham, and then paint the glaze on, so the flavour would soak into the meat. It was fantastic. Of course, once you’ve baked a ham and had a dinner of it, you’ll likely have leftovers. A friend of mine says that “Eternity” can be defined as “two people and one ham”. There are many ways to use the rest of your ham – and this next recipe is one of them. My dad and his dad, would have loved it. After your next ham dinner, use some of the leftovers to make this amazingly good ham spread. It comes to me through a friend of the family, who tells me it’s a recipe created by Julia Child. Ham freaks, unite! 1. Blend ham in food processor until smooth. 2. Add the rest of the ingredients and blend. Adjust seasonings to taste. 3. 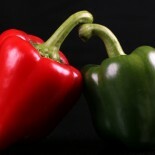 Spread on crackers or toast, in sandwiches, or use as a dip for vegetables. Enjoy! I reblogged this on Fizz, great story and ideas. Cool, thanks, I see you have been visiting, appreciated. When you say a raw ham is that where you get slices for sandwiches? Better to cure a leg )or smaller portion) of pork, then cook it. I haven’t done that for years, you’ve given me the urge. Any time you want to post your curing method, I’d be delighted to read it! There are many recipes and variations on the net. If the leg is big, then you may inject curing agent above. Commercial curing agents like Prague Powder are also available. This entry was posted on September 4, 2013 by thinkreadcook and tagged appetizer, cooking, deviled ham, devilled ham, food, ham, health, meat, pork, sandwich.